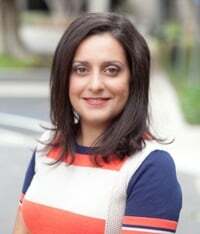 Dr. Hala Madanat is the Director of the School of Public Health at San Diego State University and core-investigator of Institute for Behavioral and Community Health. She is a professor of health promotion and behavioral science. Dr. Madanat currently leads the evaluation of three large NIH-funded center grants: The SDSU/UCSD Comprehensive Cancer Partnership, the SDSU HealthLINK Center for Transdisciplinary Health Disparities Research, and the San Diego Alzheimer’s-related Resource Centers for Minority Aging Research. She has received multiple honors and awards including the San Diego State University Distinguished Faculty Award for Outstanding Contributions to the University. She is also the Co-PI of a HRSA grant aimed at enhancing the education of primary care providers, other geriatric team professionals, paid and family caregivers, and the general public about best practices in caring for people with Alzheimer’s disease and related disorders. She has BS in Biological Sciences from the University of Jordan (2000), an MS in Community Health Sciences (2001), and a PhD in Sociology with a minor in Public Health (2006) both from Brigham Young University in Utah. Her diverse education provides a unique lens by which she approaches Public Health. Her research focuses on the impact of westernization on diet and nutrition and has been working on developing nutrition education programs that emphasize health and biological hunger. She had published over 80 peer-reviewed publications, book chapters, and books. Professor Daniel Diamond Reidpath is a Professor of Population Health and Head of Public Health at Jeffrey Cheah School of Medicine and Health Sciences, Monash University Malaysia. He is also the Director of the South East Asia Community Observatory (SEACO) Research Platform in Segamat, Johor. Prior to that he held the inaugural Chair of Public Health at Brunel University, West London. Daniel is a Social Epidemiologist and has worked extensively in the measurement of population health, health systems, social marginalisation, and equity. He has also acted as a research consultant for WHO, UNICEF, and Family Health International. He has a H-Index of 32. 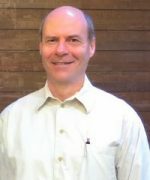 Professor Reidpath has published widely including peer reviewed articles, book chapters, a journal special issue, commissioned reviews, and editorials. He has also published across a wide range of areas including medical sociology, public health, epidemiology, and biostatistics. He supervised to graduation several PhD and numerous Masters students. He has held research funds from the Ford Foundation, the Global Forum for Health Research, TDR/WHO, VicHealth, the Royal Society of Public Health, and the Welcome Trust, most recently as co-Principal Investigator of a grant to establish an Institute of Infectious Diseases of Poverty in West Africa. Datuk Dr. Noor Hisham Abdullah is the current Director-General of Health Malaysia since 1st March 2013. He is also a Senior Consultant in Breast and Endocrine Surgery, Hospital Putrajaya. Prior to this, he also held the post of Deputy Director-General of Health (Medical Programme) between January 2008 until end of February 2013. He obtained both his Medical Doctor (M.D.) degree in 1988 and his Master of Surgery (M.S.) in 1994 from Universiti Kebangsaan Malaysia (UKM). Four years later in between 1997-1998, he completed his Fellowship training in Breast & Endocrine Surgery from the Royal Australasian College of Surgeons. He received his Fellowship of the Academy of Medicine Malaysia in 2004 and an Honorary Fellowship of the Royal College of Physicians London in 2012. 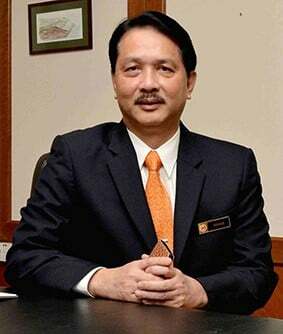 He has also been conferred an Honorary Degree of Doctor of Medicine from Newcastle University Medicine Malaysia (2014), Honorary Fellowship of the Academy of Family Physicians of Malaysia (2015) and Honorary Fellowship of the International College of Dentists (2016). He is a world renowned for contribution in Endocrine surgery, especially on Thyroid surgery. He has presented many papers in local and international conferences and has had numerous invitations to speak at local and international events. Apart from that, he is also a prolific writer with extensive publications in local and international journals and has authored many chapters in various textbooks on endocrine surgery. He also actively involved in World Health Organisation (WHO), including his recent achievement as the WHO Western Pacific Regional Office (WPRO) Representative for the Working Group on Strategic Budget Space Allocation, WHO. He has led many innovative initiatives in health, while pushing others towards creative innovation with utilisation of home grown talents. He believes in breaking down silos and working together across the divide within the ministry and beyond — as every sector is a health sector. To meet the challenges ahead, he also mooted the idea of the Talent Grooming Programme (TGP) for Technical Healthcare Professionals for succession planning and developing good future healthcare leaders. In addition to that, he is a strong advocate of the utilisation of social media as a smarter, cheaper, faster, more efficient and transparent tool in reaching out and engaging with the public and various stakeholders, thus delivering real-time information on various healthcare issues locally and internationally. 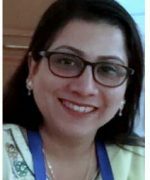 Dr. Forhad Akhtar Zaman is one of the youngest Professor in India presently working in the Department of Community Medicine at Sikkim Manipal Institute of Medical Sciences, Gangtok, India. He is associated with Million Death Study as a Coder & Adjudicator under Govt. of India & CGHR, Canada. He was awarded the Fellowship of Indian Public Health Association in 2017 for his outstanding contribution in the field of Public Health in India. He is also working as a Central Team Member in Annual Sentinel Surveillance for HIV Infection under Govt of India since 2010 and also as a monitoring team member for the Coverage Evaluation Survey under Govt of India. 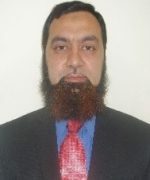 He served as State Consultant for ICDS, Govt. of India for 3 years. He is an expert in Medical Education and has completed both the Revised Basic Course & Advance Course in Medical Education & is presently the Medical Education Unit Coordinator of SMIMS, Gangtok. He has guided students for PG (MD Community Medicine) and Co- Guide for PG & PhD students under Sikkim Manipal University. He has been an External Examiner for both UG (MBBS) & PG (MD) Exam and PG (MD) Thesis Evaluator of various Universities of India. He is the Chairman of the Zonal Task Force (Operational Research) RNTCP, Govt. of India. 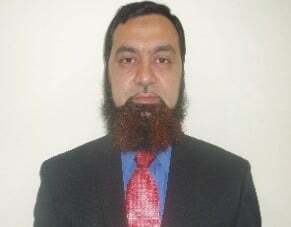 He is working as trained Physician & Coder under AIIMS Technical Support Unit for Cause of Death in India He is also the nominated member of the International Forum of Teachers (IFT) of UNESCO Haifa Bioethics Chair. He was the speaker at the 53 rd National Conference of the Indian Public Health Association at KIMS, Bangalore in Jan 2009. He was the Keynote Speaker at the 12th South East Asia Regional Scientific Meeting of International Epidemiological Association at Bangkok in Nov 2015. He was the Plenary speaker in the 2nd ,3rd and 4th INTERNATIONAL CONFERENCE ON PUBLIC HEALTH 2016 in Colombo, Sri Lanka in 2017 at Kuala lumpur, Malaysia and in 2018 at Bangkok, Thailand. He was awarded travel grants to present a research paper and Chaired Session at IEA World Congress of Epidemiology at Saitama, Japan in Aug 2017. He Completed Advanced Course on Death Certification conducted by the Centre for Global Health Research, affiliated with St. Michael’s Hospital, University of Toronto and in collaboration with Indian Council of Medical Research (ICMR). 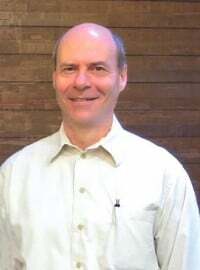 He has total 31 publications in various Indexed National & International Journals. Dr. Zailina Hashim is a Professor of Environmental Health and the Director, Centre of Excellence Environmental & Occupational Health, Department of Environmental and Occupational Health, Faculty of Medicine and Health Sciences, Universiti Putra Malaysia. Her field of specialization is Environmental and Occupational Health Risk Sciences. She obtained her Master degree in Public Health from the University of Minnesota, USA. Environmental Health Sciences Ph.D degree from the University of Michigan, USA. Dr. Zailina has been in academia for the past 35 years and has introduced the Bachelor of Science degree programme in Environmental and Occupational Health at UPM in 1998. She has published more than 250 journal articles, scientific and technical papers. She has completed more than 25 researches funded by local as well as international agencies. She also serves as consultant to various government agencies and private companies. She has a h-index of 20. 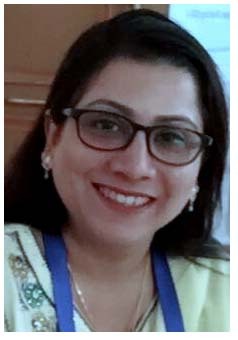 Dr. Saira Mehnaz is currently Associate Professor in the Department of Community Medicine, Jawharlal Nehru Medical College, Aligarh Muslim University, Aligarh (UP) India. She has completed her medical degrees (MBBS) and (MD) Community Medicine from Aligarh Muslim University, India and is presently pursuing Ph.D in the same University. She has over 15 years of experience in the field of Public Health both locally and internationally. Her field of specialization includes Maternal and Child health, Urbanization and Primary health care. 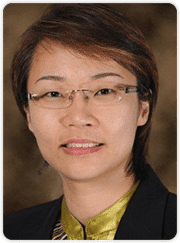 She has been awarded many National and international prestigious awards for her research and presentations. She is the reviewer in many organisations associated with research, including the Indian Council of Medical Research. 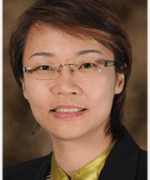 Prof. Lua obtained her PhD in Pharmacy from Cardiff University, Wales, United Kingdom in 2003 specialising in health-related quality of life (HRQoL) studies. Prior to that, she has studied Pharmacy in the same university and graduated in 1998 with a B.Pharm (First Class Honours) and later pursued her pharmacy training in Queen Elizabeth Hospital, Kota Kinabalu. Her first permanent job was as a lecturer at Universiti Malaysia Sabah from 2003 until 2005, whereby she was entrusted with the responsibility of being the Head of Psychology And Social Health Research Unit. She later joined the Faculty of Pharmacy, Universiti Teknologi MARA, Shah Alam as a senior lecturer and was influential in setting up the Centre for Drug Policy And Health Economics Research as well as being appointed as the Head of B.Pharm programme. In 2007 upon moving to Universiti Sultan Zainal Abidin (UniSZA) in her hometown of Terengganu, she diligently helped establish the Centre for Clinical And Quality of Life Studies which spearheads a variety of clinical and behavioural health studies. Most recently she pioneered the set-up of the new Faculty of Pharmacy in UniSZA in 2016. With over 80 publications, 200 presentations and 40 awards under her belt, she contributes tremendously in postgraduate supervision and training while acting as invited reviewer and consultant panel for various reputed journals and expert committees. Her main research field involves HRQoL investigations in chronic diseases with psychosocial implications, besides a special interest in e-health technologies for health education and promotion.